← Book Launch Update – Thank you!! 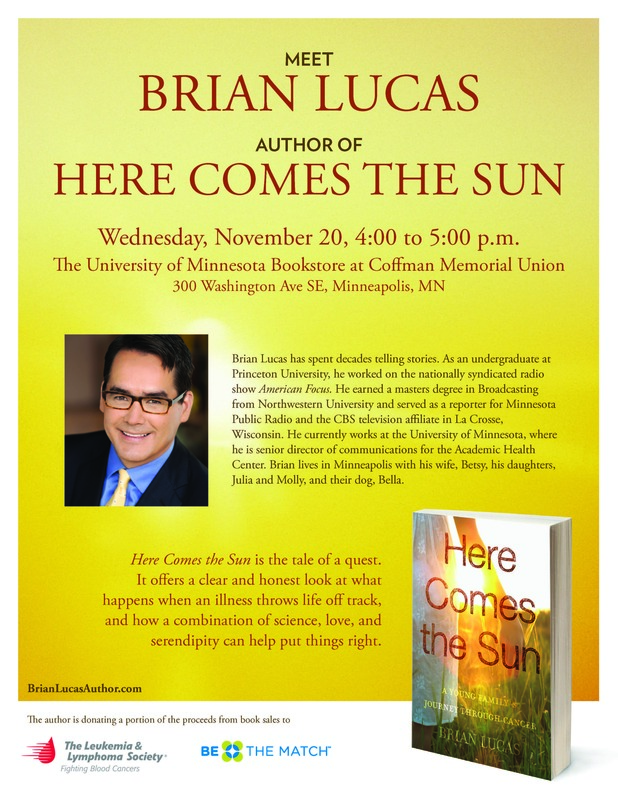 Here is the next book event… coming up this Wednesday at the University of Minnesota bookstore. Please stop by if you can… and please spread the word to help turn out a good crowd! This entry was tagged author, book, Cancer, Memoir. Bookmark the permalink.